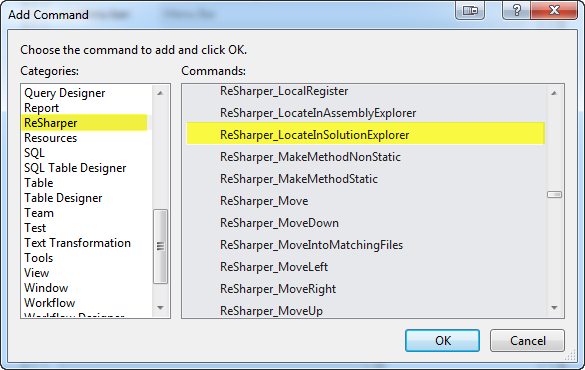 In the Add Command dialog, select Resharper from the Categories list. Click the Move Up / Move Down buttons to place the command where you want it within the context menu. That’s it! 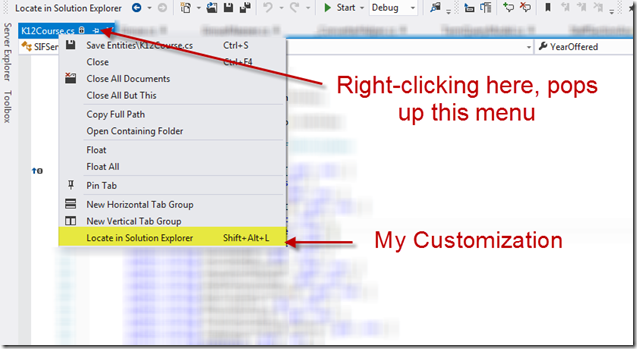 Now your active source file is one click away! I had this on my old machine, but don't know how it got there. Seriously missed it on my new machine. Thanks for posting!!! 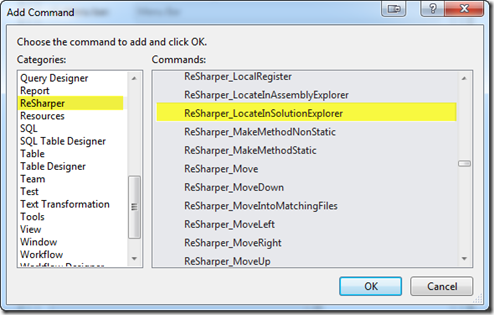 I do not find "Resharper" in the "Add command dialog"